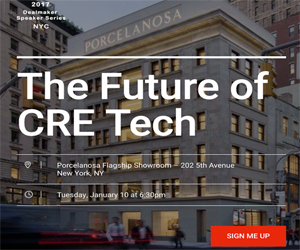 As technology in the commercial real estate sector continues to evolve, real estate professionals now have greater access to more detailed data than ever before. Create Inc. is helping lead that development by launching a property mapping platform that renders data in a 3-D format. The project was piloted several months ago in the Washington, DC, area, utilizing data from both federal and local government agencies. With Create Premium, users are able to export data to display a wealth of information while rapidly visualizing the many factors that can influence properties. Such information can prove to be quite valuable for investors who are considering acquiring a property as well as for brokers who are marketing a property. For instance, the information displayed by Create Premium could be used to help users evaluate the potential impact of a development, including the impact on adjacent properties and even traffic flow. As such, the new interactive tech platform is assisting municipalities in enhancing their overall economic development in order to be more competitive. Currently, the free platform boasts more than 4,000 users just within the District of Columbia. Among those users is the Washington DC Economic Partnership, who utilized the platform market potential sites to investors and retailers during the 2015 Annual Real Estate Conference of the International Council of Shopping Centers. Other agencies that have used the Create platform include the DC Office of Planning, the DC Department of the Environment, the DC Office of Zoning, and the Department of Consumer & Regulatory Affairs. With a single click, Create brings together zoning, real estate, and property data from hundreds of sources in a single convenient location, making it easier and faster for users to get the full picture for any property. As a result, users are able to understand neighborhoods and properties in context with their surroundings. Premium users are able to take advantage of advanced market data and demographics to search for properties in a completely new way. Create has also partnered with Trepp, a leading provider of analytics, information, and technology, to provide advanced insight and data into market conditions. The second release of the platform, Create Premium, was launched in mid-September. Primary users of the platform include site selectors, brokers, and investors. Create.io was originally launched back in 2011 as a property information platform aimed at real estate and economic development. Founders of the platform are Ed Switzer, a city planner; Stefan Martinovic; and Laura Ferguson.